Want the most your money can buy? 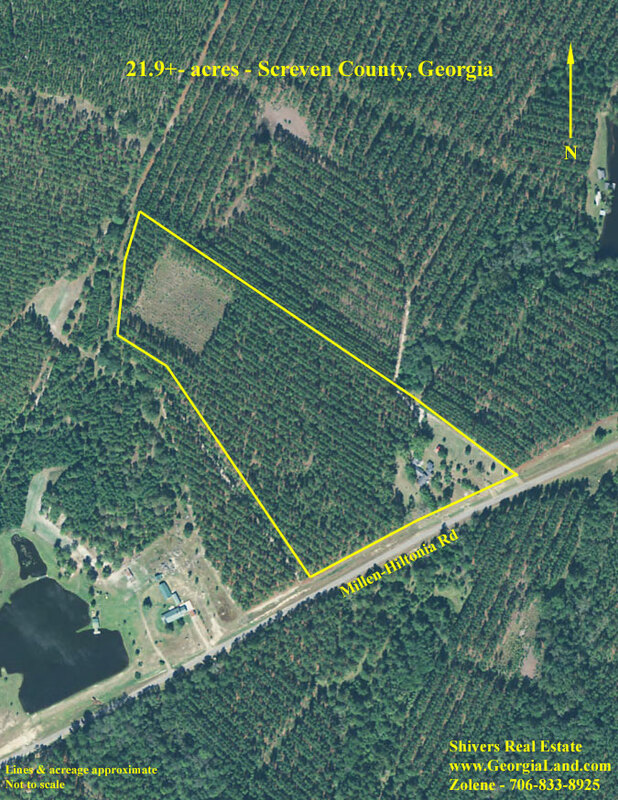 Great recreational/hunting tract with 21.90 acres mostly in large older pine trees. Very attractive brick ranch style home has been used as hunting lodge in recent years and has living room with fireplace, dining room, large kitchen, six bedrooms, three baths, 25×27 entertainment room with brick fireplace. Additional one bedroom, one bath apartment added to home with private entrance. There is also an effeciency apartment/lodge behind the home with kitchen/living area, one bedroom and two baths. Very nice recreational shed with water and power. A Must See!!! $164,000. Previous Listing318 North Field Road – WaynesboroNext Listing143 Thomas Road, Waynesboro, GA – Seven (7) Miles from Plant Vogtle.